Samantha Lima is an 8 year old girl from Stockton, California. She is in 3rd grade, has 2 dogs and a cat, and her favorite food is pizza. 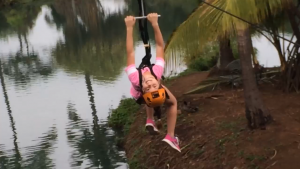 She ziplined for the first time last week and this is her interview shortly after her tour at Maui Zipline. I saw Samantha again the last day that she was on the island and I asked her how her trip went. She had gone on the slides at the Grand Wailea, snorkeled with turtles, went out to dinner a lot, played on the beach, went to “Diva’s Night” at the spa, went to a luau and ate lots of shaved ice. 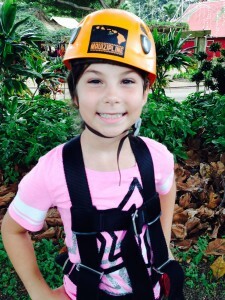 I asked her which activity was her favorite and she said ziplining without a hesitation. That was cool. 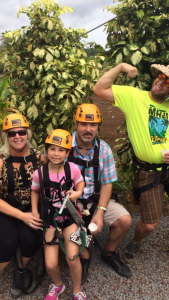 I hope to see you again at the zipline Samantha and I hope other 8 year olds can read this interview and get excited about ziplining too.